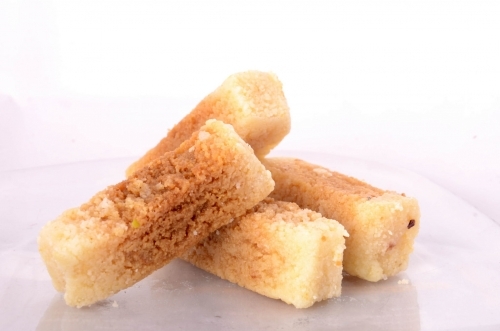 A delicious cake made with a few simple ingredients of primarily milk and sugar, hence the name- Milk cake. This is a mouthwatering dessert which packs enough calories to power you for a few hours! A rich and healthy sweet, it is ideal to be served along with dinner and makes for an excellent gift during festive season! One can’t help loving this delightful mixture! Coming all the way from the quaint town of Kalka, situated in the foothills of the mighty Himalyas, each box of Milk cake bears the promise of great quality and great taste. So when are you ordering it online from FoodFeasta.com so that you can enjoy this yummy treat comfortably in your house? !